The Great Race » Great Race stops in Washington, MO June 25, 2013! Great Race stops in Washington, MO June 25, 2013! Washington, Mo., will host a lunch stop on the 2013 Hemmings Motor News Great Race presented by Hagerty on Tuesday, June 25, race promoters have announced. 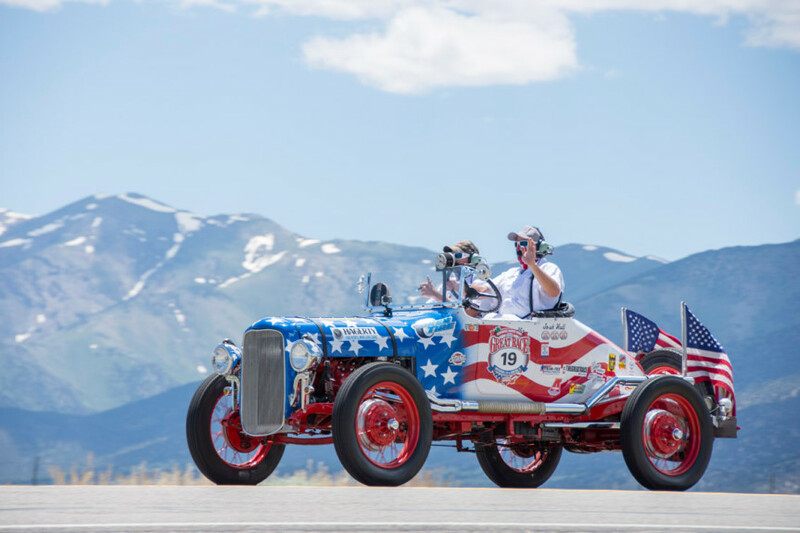 The Great Race, the worlds premiere old car rally, is expected to bring up to 100 antique automobiles to Main Street in downtown Washington for the $150,000 event. 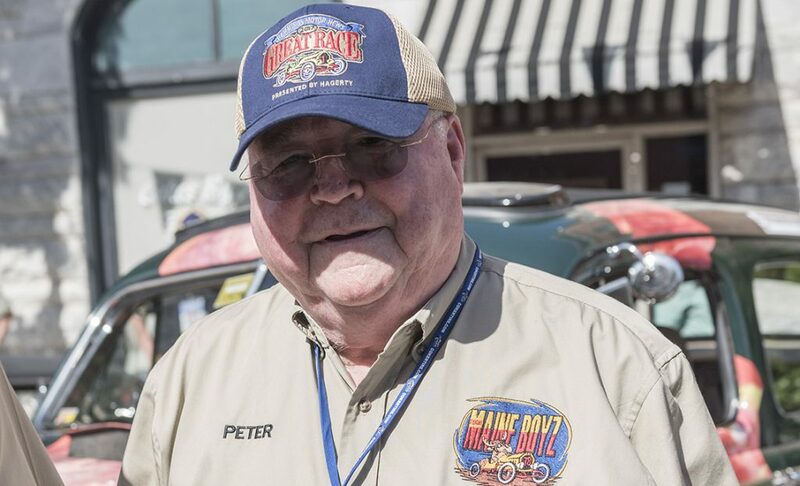 The race will start June 22 in St. Paul, Minn., at the State Fairgrounds as part of the Back to the 50s car show and weave its way down the Mississippi River toward the Gulf of Mexico through 10 states and cross the river a dozen times before the finish in Mobile, Ala., on June 30. The stop in Washington will be the first on Day 4 of the 9-day race. The cars will arrive from the overnight stop in Hannibal. The cars will arrive after noon at one-minute intervals for more than an hour and a half and stay for an hour each to allow spectators to visit with the participants and to look at the cars. It is common for kids to climb in the cars for a first-hand look. The Washington Area Chamber of Commerce is helping with the plans. 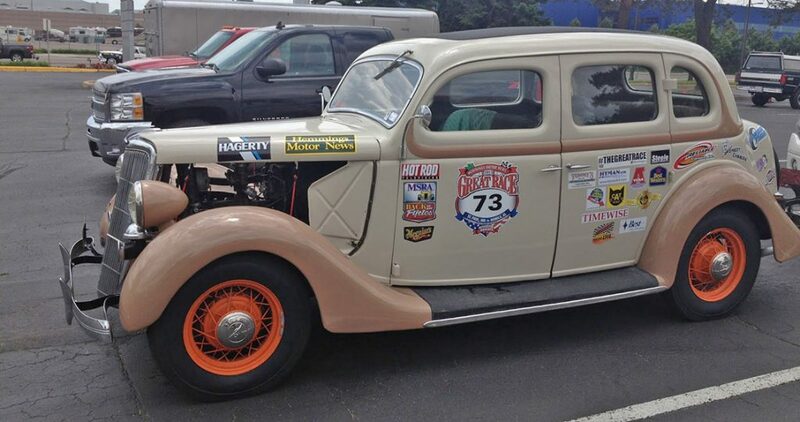 After leaving Washington the cars will head south to Cape Girardeau, Mo., for the fourth of nine overnight stops, eight of which are on the Mississippi River or the Gulf of Mexico. The other overnight stops along the route are in La Crosse, Wisc., on June 22; Davenport, Iowa, on June 23; in Germantown, Tenn., on June 26; in Vicksburg, Miss., on June 27; in Baton Rouge, La., on June 28; in Covington, La., on June 29; and in Mobile on June 30. The other lunch stops are Eau Claire, Wisc., Dubuque, Iowa; Peoria, Ill..; Paragould, Ark. ; Monticello, Ark. ; Natchez, Miss. ; Crowley, La. ; and Irvington, Ala.
Where was that photo taken? It wasn’t around any part of Washington, MO that I know of. Tim: It is in Missouri, maybe on the way out of Washington into Cape Girardeau. For those of you that don’t know, Washington is a beautiful town on the Missouri River (which feeds into the Mississippi) but the day we were there we were not able to meet with anyone from the city or CVB so we didn’t know where in town the stop would be so I didn’t take any photos. I will post more photos after my next trip of Washington and Cape Girardeau. Where will the cars be stopping at for lunch in Washington, MO? Will they be at a restaurant, or is it an outdoor lunch? Do you know where the 2014 race will be? 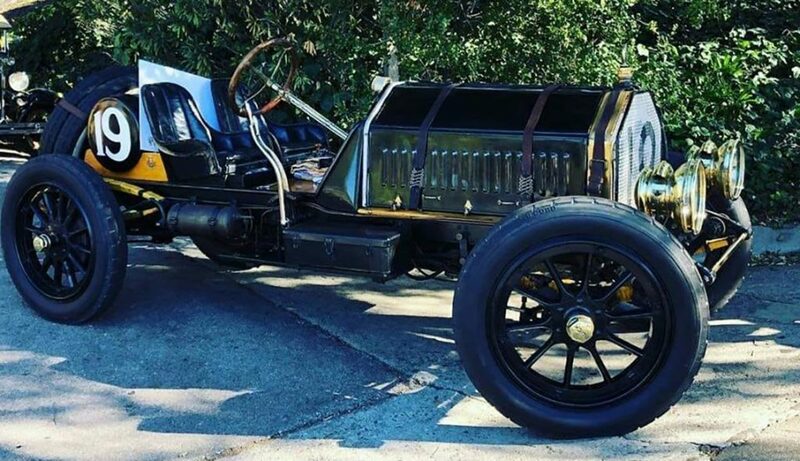 I am interested in registering a 1930 Model A Speedster.